Another of the great things about being involved with the Greater Raleigh Court Civic League is getting to meet and hear about cool people. Take resident Ralph Berrier, Jr. He’s a reporter and writer for the Roanoke Times and a longtime resident of SW Virginia. 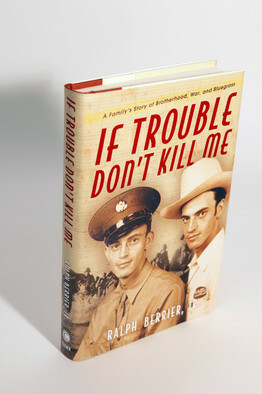 He’s written a book; “If Trouble Don’t Kill Me”. It’s the story of his grandfather and great-uncle, twins Clayton and Saford Hall, who laid the seeds of country an bluegrass music in Southwest Virginia from the 1930’s forward. Also, be sure to check out the November issue of the Civic League’s Court Reporter for an interview and discussion with Mr. Berrier. This entry was posted on Friday, October 1st, 2010 at 12:02 pm and is filed under Uncategorized. You can follow any responses to this entry through the RSS 2.0 feed. You can leave a response, or trackback from your own site.